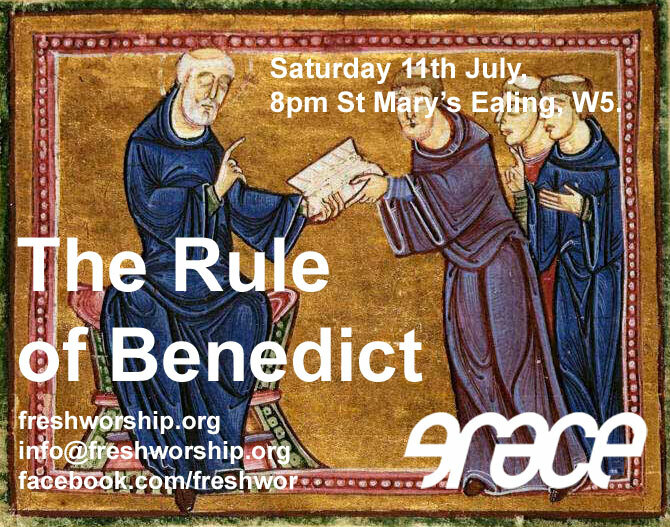 We Celebrate the Life and Rule of St Benedict, with discussion, and a barbeque. Event Horizon was first staged at last year's Greenbelt Festival, in the grounds of Boughton House. It was created specifically for the landscape feature ‘Orpheus’, which consists of a square spiral path descending to a pool of water. 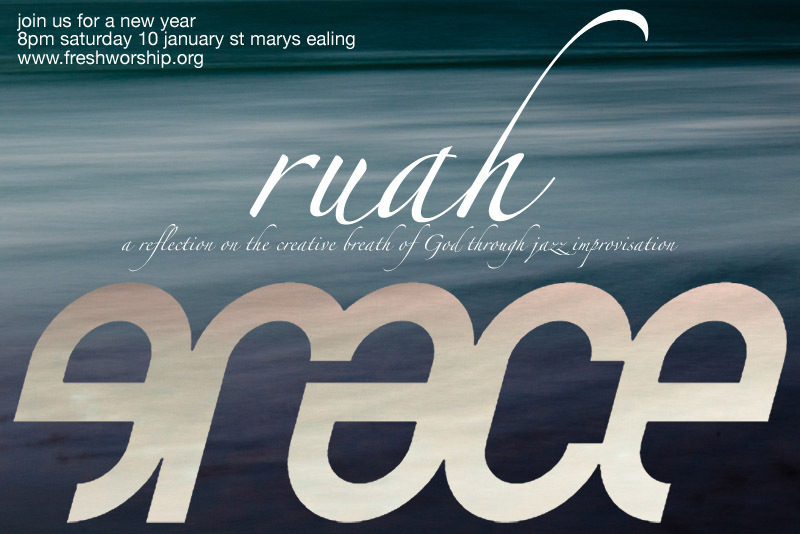 We were invited by Greenbelt to consider Orpheus as a labyrinth and create a meditative walk. However, the central space, which in a normal labyrinth is a ‘holy space’ of encounter with God, is in Orpheus a dark pool. This suggested the idea of an 'event horizon' - a surface from beyond which no information reaches the observer, most famously around a 'black hole' in space. Having the 'holy space' as inaccessible and impenetrable implies that God is ultimately unknowable, and not approachable beyond a certain point. The Bible says in several places that God cannot be seen [by humans, at least]. Event Horizon is a meditation on what it might mean to journey towards, and then away from, an inscrutable and silent God. 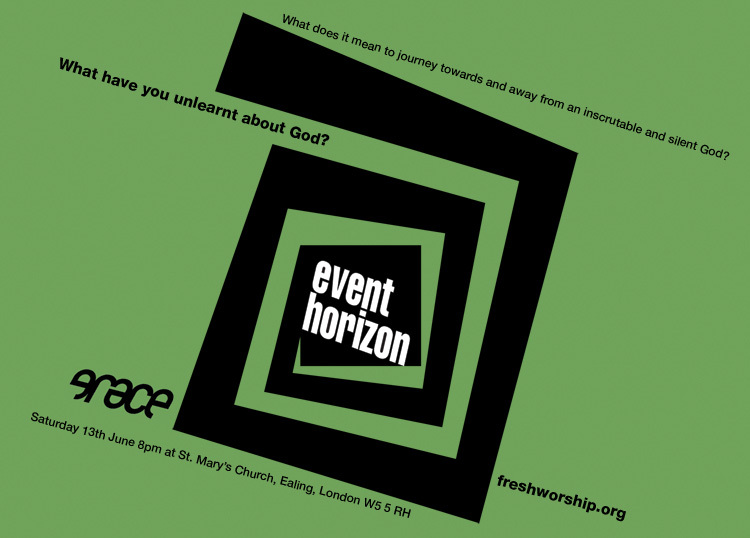 Join us in St. Mary's churchyard as we revisit Event Horizon, albeit on level ground! 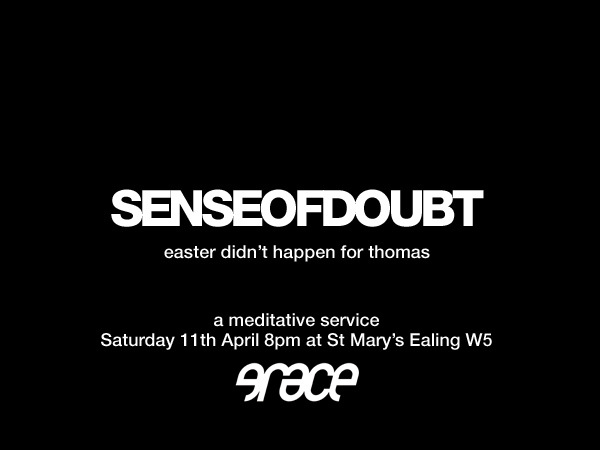 If the weather's bad we'll stage it in the church. 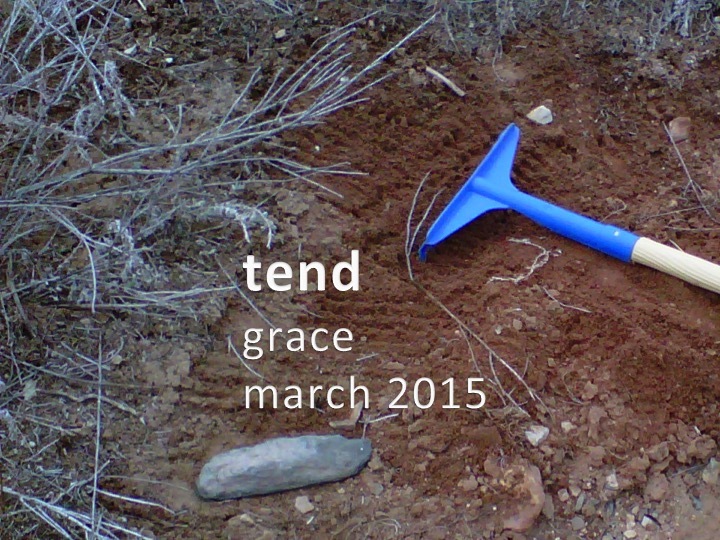 Grace this month will focus on prayer inspired by the writing of St. Teresa of Avila. 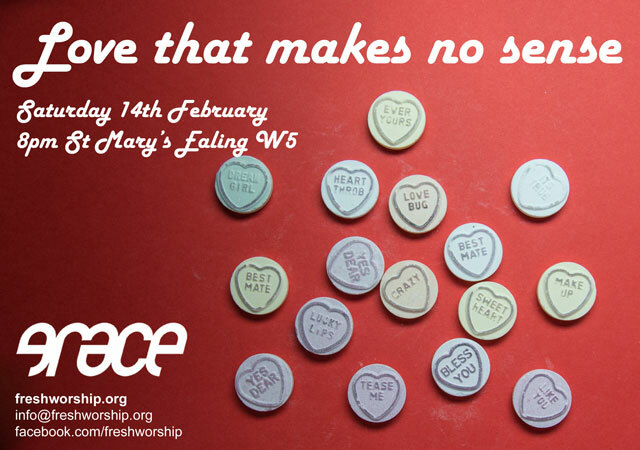 Join us at 8pm, Saturday 14th March at St Mary's Church, Ealing W5. We come to the last of the Lenten meals. These are hosted in peoples homes with a mixture of prayer and discussion. This last meal is hosted by Jonny and Jenny. 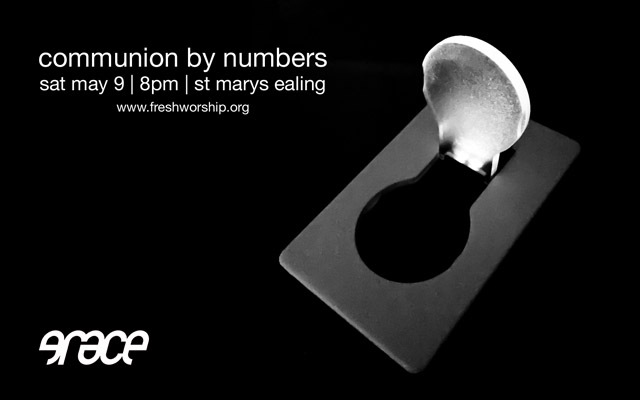 For information about the location of the meeting please email us via info@freshworship.org. December's Grace unwraps Christmas with a night of storytelling: Carstairs and the Colonel, communion at gunpoint, illegal plum-puddings, and	a man in need of hair-care products. There will be no penguins, but there may well be mince pies. For Grace on 8 November will be eating a meal together and sharing bread and wine while we think about friendship. The evening will be led by Steve Summers of Guildford Diocese. It would be helpful if you could let us know if you plan to join us but don’t worry about deciding late! Just email info@freshworship.org – but don’t worry how late you are responding. For our second Grace of the new season we will be exploring the spectrum of prayer, from praise and lament to petition and thanksgiving. As we do so we will be weaving a multicoloured rug! As ever there will also be food and drink in the cafe afterwards. Please join us to learn some new skills, both spiritual and material! join us on sept 13 for the first grace of a new season. we are privileged to have memory, a photographic exhibition from the ealing london independent photography group in st marys on its last day and will be surrounded by and using those images suspended in the air as a focus for the evening. we have a new pattern we're trying out where we cycle through some different types of evenings through a term. this is the first where we have a specific art focus. For those who requested the words to Event Horizon, the archive page is here. Steve Collins' photos of the event are here. The Autumn programme sees the start of our new structure for services. Sept 13th - Memory, an exploration inspired by the Ealing LIP photographic exhibition in St Mary's Church. Meeting as usual on the second Saturday of the month at 8pm, followed by Cafe with wine and snacks.